Hey everyone I've been having a play with the Pyro fx shelf in houdini. 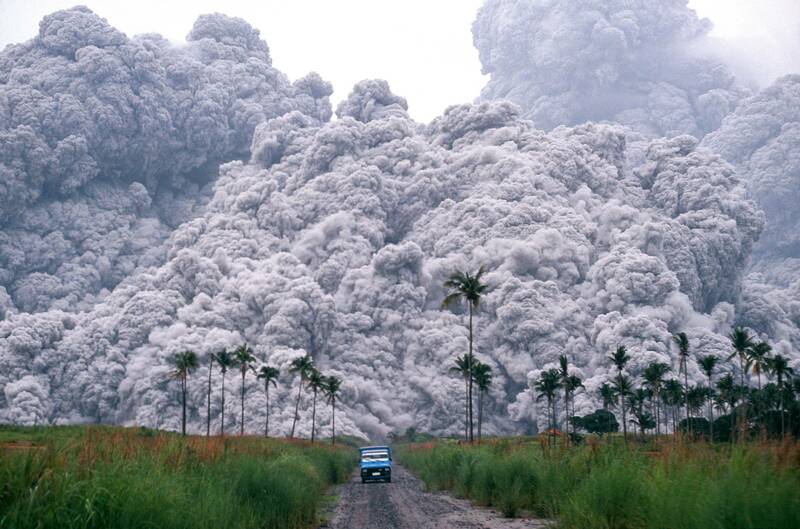 I want to generate a big cloud going off.. pyroclastic in nature I guess. I plan on using it in a personal animation project I'm working on. I did a nice test in maya with fluids but the test results with houdini and exporting vdb are (i think) looking quite nice. Quick Yt vid below.. the last 3 are the ones I'm happiest with. So I basically just scale up a grid mesh and that emits the Pyro. However my cam angle is going to be ground level.. cam on floor nearly. So the rear half of the vdb cache is never seen. Is there a way to get houdini to make the same sort of Pyro cloud but in a lighter way.. eg not generating or processing the back half? I just need to get the cloud to come to camera really. I've got some proxy geo in my final env scene I would like it to collide with too perhaps. Also can anyone give me some good tips on generating detail? I think there's a subdivision value that I set to 0.05 and that took an hour and half to write out 100 vdb frames. On a tutorial it said take it down to 0.02. That would make it chug but if it needs to do so overnight thats ok. I guess the main question is how to get more "pyroclastic" look to the cloud? Sorry for the long post but if anyone give me some pointers on achieving this that would be great I'm quite happy to sit and twiddle values and do test caches to get it looking great! You can use the Sink From Objects tool in the Populate Containers tab which will make your smoke disappear within the bounds of an object ( that you place behind your cloud). You can turn your geo into a static object to collide with, or turn it into a volume and use source volume with Cource collision set in drop down menu. You want to up-res with wavelet turbulence, and a low frequency scale. Then use the Up-Res Container tool in the Container Tools tab with your smokeobject node selected, and it sets the up res network. Set Source to file and load your low res cache. Go to shape and enable turbulence. Hover your mouse over it to read how to set the value correctly - It's one unit for every doubling. Then in the Turbulance tab change it to Wavelet, reduce Frequency Scale to .5 and cache that as your high res sim. Hi Yon thanks for the reply that is awesome information. I was hoping there would be an up res mode building on general movement of a lower res one:) can't wait to try these things! however i tried hovering mouse over the main viewport after selecting the smokeObject and it still throws me the error. aha well it seems i wasn't able to select the node, but i was able to select 'something' in the viewport as a bounding box appeared around my pyro effect. I hit enter and its give me an uprespyro setup. so heres what i have - on the left is my original pyro_sim setup. I've setup the pyro_import so it reads from my .vdb file seq on disk. the upres (i think) is now using the upres setup - when i scrub the time line both seem to update quite quickly. I'm guessing from here now i can jump into the upres_pyro_sim node and add the turbulence and wavelet etc in there? it was chugging at first then i realised i'd turned off the read from disk in the pyro_import of the orig sim lol! then in Shape enable turbulence, if your hover over it theres directions to set correct value and turn turbulence source to wavelet. Actually now I see it what's the difference between the two as it seems like the two do the same thing? i've got the upres sorted out but for some reason it chucks up an error when it tries to read my .vdb sequence ? I've attached an image and my scene file. from what i can see i'm reading in the base resolution sim in my PYRO_IMPORT node by means of a file node. I would say its this kind of look i'm trying to create - the thick pyro cloud look.. in my scene i have a small T junction road with some buildings and i'd like this cloud to go off and emanate outwards towards the camera - i did a quick example (last one) in my youtube video in my first post. no worries thats what i figured hahah - did you see that video on ILM's setup where they can just obtain high res fluid explosions and all manner of other templates - its all networked up and literally takes seconds for them to viz something - i feel sick haha!